Illinois is at a turning point. It currently faces a large volume of unpaid bills, a multibillion dollar budgetary shortfall, and the partial sunset of tax increases from 2011. Between all of this and the state’s failed attempt at pension reform, Illinois is in need of policy solutions. Budget, revenue, and structural proposals are all currently on the table, but tax reform needs to be part of the discussion. 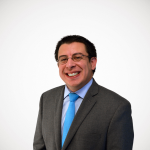 However, for taxpayers and legislators alike, understanding the problems embedded in the state’s tax code is a dizzying task. There are many types of taxes levied on many different activities, and keeping track of each tax in the context of the overall economy is difficult. 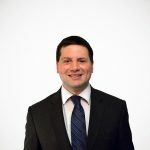 In order to help inform the conversation about Illinois’ fiscal future, the Tax Foundation has released a new study in partnership with the Taxpayers’ Federation of Illinois that offers a broader perspective of Illinois’ taxes and helps readers visualize some of the lesser-known aspects of its business tax environment. 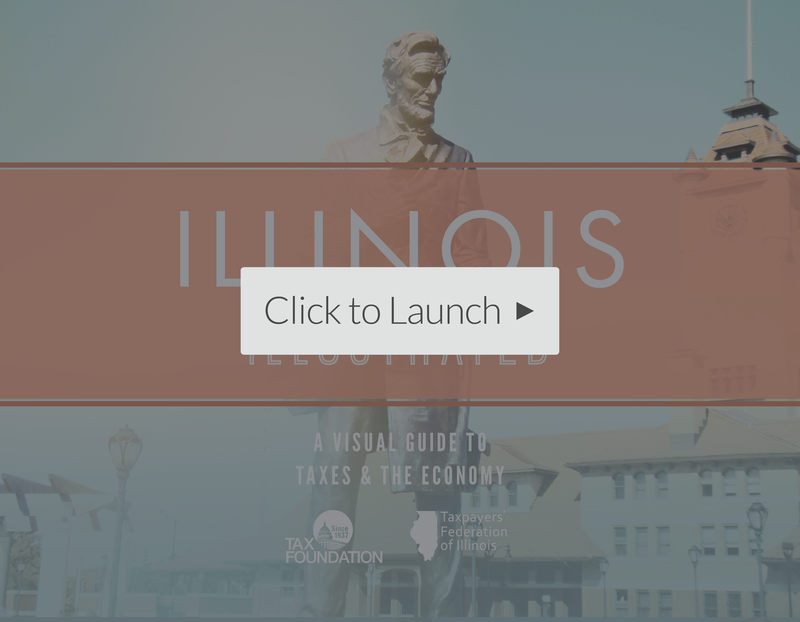 Illinois Illustrated: A Visual Guide to Taxes & the Economy provides detailed illustrations of each of Illinois’ major tax types—individual income taxes, business taxes, sales and excise taxes, and property taxes—to help make the complicated task of understanding the state’s tax code manageable. Illinois’ economy is moving away from goods and toward services. Illinois’ tax burden ranks higher than most other states. Illinois’ individual income tax rate has fluctuated over time. Businesses’ effective tax rates vary widely by industry and age of firm. Illinois has the highest combined average sales tax rate among its neighbors, but the sales tax applies to less and less of the state’s economy over time. The value of Illinois’ gas tax has declined over time. Illinois had 5,976 different taxing districts in 2012.